Playtech takes online play back to the Viking era in its new Ice Cave slot. Inspired by Norse mythology, players get to rub shoulders with legendary warriors across 20 paylines featured on five reels. Superb visuals, outstanding sound, and exceptionally rewarding bonus features combine in this high volatility game to ensure high payouts and entertaining play. Several features such as wilds, freezing wild feature, and multipliers are included, while high valued symbols ensure brilliant payouts on combinations of three or more. The wild hammer substitutes for all symbols, and once it participates in a combination, its payouts are multiplied by three. The ice wilds also stand in for all symbols and like the hammer wilds will award triple winnings once it is part of a winning combination. Ice wilds appearing on the third and fourth reels freeze and remain in position for all subsequent spins until the hammer wild appears to remove the freezing wilds by force. By activating the feature bet players, can also enable the ice wilds on the fifth reel. Spinning with the Norse mythology gods such as Valkyrie, Ravin, Fenrir, and Rig can be enjoyed for free with the Playtech No Deposit Bonus now available at Ace Kingdom Casino. To qualify for the no deposit bonus players need to register a new account and quote bonus code AK10 to claim a bonus worth £10 for free. The wide variety of promotions and generous offers at Ace Kingdom Casino also includes a welcome package that rewards new players initial deposit with a 200% bonus worth up to £300. By making a second deposit and quoting bonus code ACE50 new members have access to a 50% bonus, and on the third deposit, a 75% bonus can be claimed worth up to £300. Free bonus funds come in handy once players become part of the Ace Kingdom Casino family since the broad range of popular Playtech titles include Sherlock Mystery, Mr. Cash Back, The 8th Wonder of the World, Football Carnival, A Night Out and the life changing progressive jackpot Beach Life video slot. Gaming categories include live games, scratch cards, slots, jackpot games, video poker, scratch cards, number games and table games such as blackjack, and roulette. Register a new account with Ace Kingdom Casino today and give the new Ice Cave video slot a spin. Playtech believes that its new game will be hugely popular especially since the ice wilds plays an integral part and once they freeze into position substituted winnings can continue until the wild hammer shows up to chip the ice wilds away. With the feature bet that increases your wager by 50%, more winning opportunities unlock since the ice wilds then gain the freedom to also appear on the fifth reel. 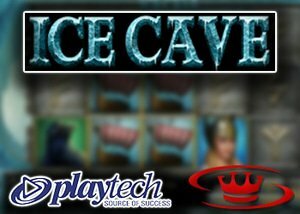 Armed with a Playtech no deposit worth $10 obtainable from Ace Kingdom Casino players can now enter the new Ice Cave video slot, join the Norse gods and enjoy the coolest cash prizes. Register and claim your no deposit bonus today!